A guide to locating newspapers for your research. While the Library does not subscribe to the websites of newspapers, you can access the daily paper by using our newspaper databses. Select the link below for today's issue. Read today's New York Times, Washington Post, or Wall Street Journal without a personal subscription using Factiva's "News Pages" feature. 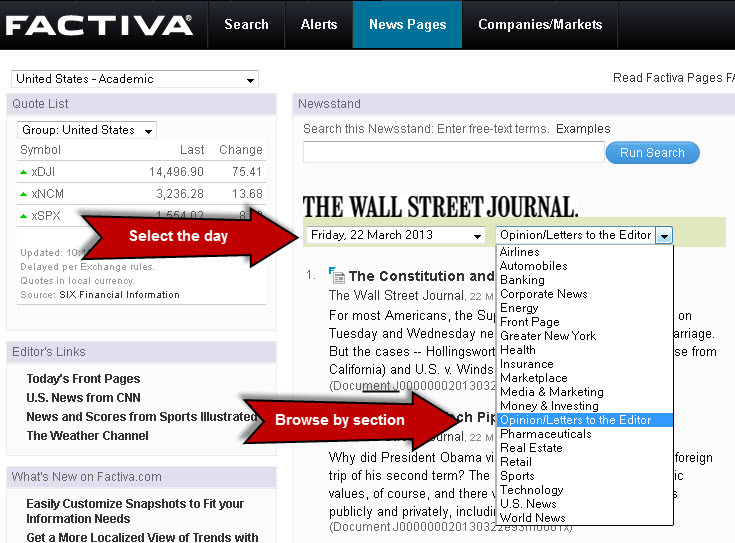 In the Factiva database, select the "News Pages" tab at the top of the screen. Select your newspaper and browse by date (up to the last two weeks) and by section.